Have you ever asked yourself if TheStreet may be the community you are searching for, but you never had enough time and information to find out if their offers really meet your needs? Well, we checked them out for you. 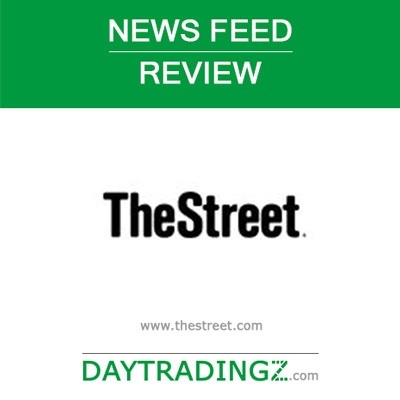 In this short TheStreet review we will mention the most important points to answer some of your questions. Since 1996, TheStreet, Inc. provides the users of their services with up to date information, news and analysis regarding the economy, the financial markets, investments, financial planning and sector trends. TheStreet ​offers more than just a trading course. TheStreet is a huge trading community​. The declared aim of TheStreet is to help the users to make better and more informed decisions being based on reliable data and analysis and unbiased news. On this platform the users have access to the services on a 24/7 basis. There is some free content while other, more specified products and services are only available for subscribers. So, will it be worth it to sign in for a subscription and will TheStreet really keep the promise to help you to find better trade ideas and business opportunities? 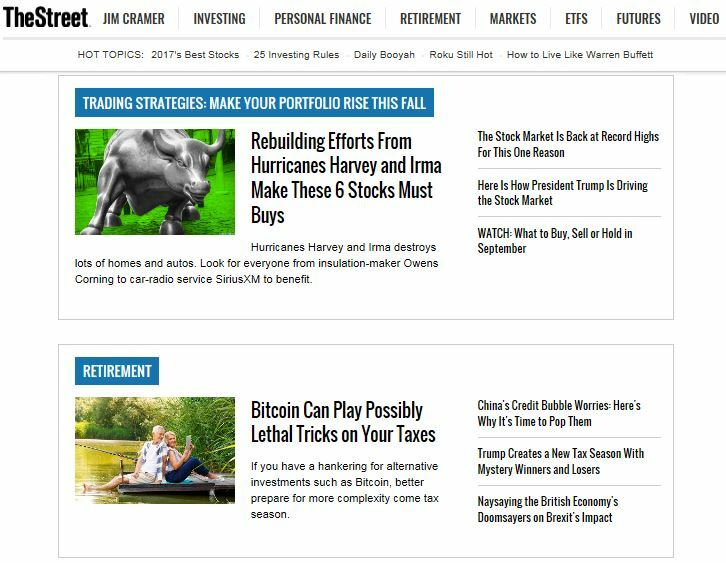 How does the website of TheStreet look like and is it easy to handle? I have to tell you honestly that I felt a little bit overwhelmed when I opened this website for the very first time. All I saw were countless numbers of news features. Honestly, in the very first moment I asked myself if I was at the right platform and if this was really meant ​﻿﻿for day t﻿﻿﻿﻿rading beginners﻿﻿. But well, some of you may open this website exactly for this and this may be what you actually need. In this case you will be more than satisfied as the news are continuously updated and as there is also a possibility to open older news you may have missed. Before getting too confused, luckily, I discovered the “Featured Topics” list. This makes it a lot easier to navigate and to select the kind of news you are searching for before you will get lost in the giant amount of information. And there is still one big advantage that we shouldn't forget and that is worth it to be appreciated – the fact that all these news are available for free and that you don't have to sign in to read and to use them. I think, this is one of the very best parts of this platform that should not be underestimated. I found one more plus as you will not only find updated news, but also Jim Cramer's personal comments. And you can follow Jim Cramer's blog and tweets right beside the news. As he is well known and as he seems to have a really good reputation in the business, I also see this as a valuable point. Many of you who are familiar with this co-founder of TheStreet may smile when I tell you that I wanted to get to know a little bit more about Jim Cramer's background and that I failed when I tried to find this kind of information on the platform. Yes, you may already know all about him and maybe this is natural as nobody thought of adding some basic information about him to be found on the platform. Jim Cramer, actually James J. Cramer, a former hedge fund manager, is the author of some bestsellers and that he is a famous TV-personality as the host of CNBC's “Mad Money”. But back to the platform we were talking about. If you scroll down to the bottom of the platform, you will find all important points you are looking for when you want to get informed about the services that TheStreet is offering. When you click on one of the topics, another web site will open, but I think, this is no problem or even a little advantage. If you want to check out something else, you don't have to search for it by scrolling up and down as you can simply go back to the website you originally opened – and well, you are back to your list. In addition, this makes it easier to compare different kinds of information without any need to go back and forth. In general, TheStreet offers different packages and options for professionals as well as for beginners and everybody can make a choice. There are eight different kinds of stock trading and investment news subscriptions. First, this sounds great and simple. But at this point I have to be a little more critical. I really needed quite some time until I finally found a spot where I was able to see all different packages on one page to be able to compare them. When I had used the navigation I had found out before, I was only able to check out one after the other and I think, this is not much help for somebody who is not familiar with that platform yet. If you want to be sure if TheStreet offers what you really need, you have to be able to compare the subscriptions or you will leave the platform to have a try with one of the competitors. Right or wrong? All right, but how can you be able to find out what is the best choice for your needs and if it really works? In addition to these separate subscriptions, there are three special bundle offers including three, five or all of these services. So, what will you do? Luckily, TheStreet offers a free trial for 14 days for all of the eight different subscriptions except of the Quant Ratings. This makes things easier for sure. So, if you are interested, check TheStreet's service out for free for 14 days. This platform is being completely focused on all these news features. With a free trial, you have nothing to lose and you will learn more about it. And luckily, the customer service is ready to answer your questions, also if you are not a subscriber yet. It was easy to find the page to contact them with a message. Alternatively, you can see their phone number and their e-mail address. However, at this point I discovered a strange discrepancy. On the platform I had found the information that the customer service would be available on seven days a week and all around the clock. So, I thought: Great! I will remember this when I will mention the advantages of TheStreet in the end. But when I went to the “Contact us” part of the website, it says that the customer service operates from Monday to Friday from 8 a.m. to 9 p.m.
At this point I decided to give TheStreet some credit and to believe that they may have a 24/7 service for subscribers. Since I didn't didn't sign in, I had no chance to check this, but well, there are more important things than that. I guess, by now I criticized enough and I still want to mention some positive points that I found when I checked this platform. The first positive surprise was the so-called “Topic Archive”. I really think, this is amazing if you are searching for specific information, all the same if this may already be a little bit older. There are giant amounts of information waiting for you in alphabetical order making it easy to get exactly to the point you need to find. This service is for free and you can also use it if you are not a subscriber yet. So, if there is something you already wanted to get to know for quite some time, check it out and have a try. This seems to be a great tool, especially in our fast world of today where the news seem to be getting old and forgotten within minutes. The second useful and uncommon point I found was the “Video Sitemap” with countless numbers of videos containing investing news and lots of information about stock trading, the Wall Street and market analysis. You can also watch all these for free. Now you probably think that this is nothing special as many others are also offering free videos like these. Yes, you are right, but do the others also give you a choice of amazing 2.215 pages filled with all kinds of topics? So, if you have some time left, you can use TheSteet as your personal video channel, maybe for the rest of your life. The third information that surprised me in a very positive way was the “Street Affiliate Program”. It is explained that, in 2005, Jim Cramer converted the Action Alert Plus portfolio into a trust for charity. Jim Cramer did this together with his associate Stephanie Link to give something back as it says. Since then, the portfolio has grown and by now, already more than $ 1.5 million have been distributed to several well-known charity organizations. This may not be the most important point at all for those who are searching for more detailed information about TheStreet, but it impressed me for sure and it made me forget some of the weak points I unfortunately found during my investigation of this platform. As I mentioned before, I had some trouble with this website as it seems to be completely overfilled with news instead of detailed information about their services. However, maybe this is exactly what some of the users prefer and maybe that's why they have their fans. When I tried to go deeper into details, I always ended up with the button “Get started for free”. But well, maybe a free trial tells you more than any detailed description ever could. If you will find out that this service doesn't meet your needs, you still have the opportunity to unsubscribe until one day before your free trial subscription will expire. This sounds fair and since TheStreet was established in 1996 and it is still there, they seem to be doing something right. To prove this, you will find a list of the awards they won so far. The last one of those was the SABEW Best in Business Award in 2016. So, if you are interested and curious, give it a chance with a free trial and make your final decision based on your own personal experiences and impressions. However, we all have different needs and preferences and maybe this is exactly what you are searching for.